The pastry chef and TV personality posted a beautiful message about the man who taught him how to bake on social media. To "Cake Boss" fans, Buddy Valastro may be the most famous cake maker in the family, but the family bakery didn't begin with him. It began with his father, whom he still deeply misses. 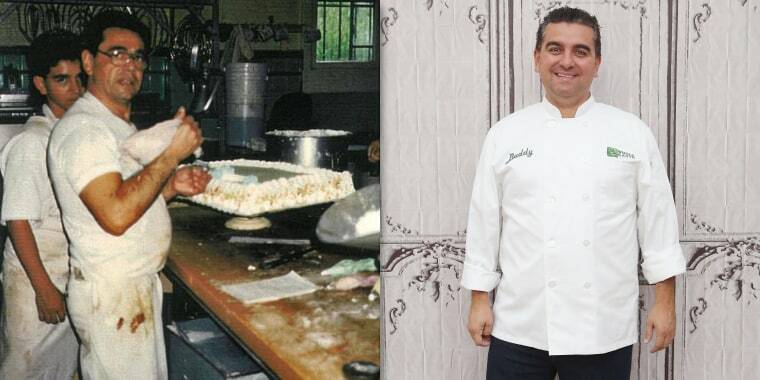 In 1994, the owner of Carlo's Bake Shop, Bartolo Valastro Sr., passed away and left his son and master baker Bartolo Valastro Jr. (whom the world knows today as "Buddy" or the "Cake Boss") to run the business in the family's Hoboken, New Jersey, kitchen. After their father's passing, Valastro and his sisters (Grace, Magdalena, Mary and Lisa), helped their mother, Mary, expand the business. The family now owns and operates seven bakeries nationwide. Since Valastro made his TV debut on TLC, the baker and restauranteur has never been too shy to share his personal feats and feelings with his fans. In a sweet message posted to Facebook on Thursday, Valastro honored his father, who was also his baking mentor, on the anniversary of his passing. "It’s been 25 years since I lost my father and not a day goes by where I don’t think of him and thank him for everything he taught me. Still loved and still missed," Valastro wrote. He also posted a collection of vintage photos. One showed Buddy and Valastro Sr. preparing dough together. Another black and white image pictured the elder Valastro and a teeny-tiny "Cake Boss" on, what one can see from the T-shirt, was Valastro's first birthday. The third homage showed the two Valastro cake bosses in action. Just as fans and followers empathized with Valastro's heartwarming birthday message to his mom, who passed away in June 2017, an outpouring of support flooded the comments box on this new post. "It's hard but take comfort that your Mom and Dad are together now baking beautiful cakes for their and our lost loved ones in heaven," one person wrote to Valastro. "I know he is still watching you and your family!!! Him and your mama are dancing and laughing for all the amazing things you are doing!! You are a great son and a awesome chef!! Keep working hard," another encouraged. Buddy Valastro and his sisters have certainly carried on their father's great baking legacy as the family now owns and operates seven bakeries nationwide.